Everton have had a long time to wait to secure their first win since returning to FA WSL 1 this year but their match against Yeovil on Saturday looks an ideal opportunity for them to claim their first three points of the season. Both teams have yet to register a point in the campaign and with Bristol City four points ahead, this encounter is sure to see the teams give their all. The league has been on a break while Continental Cup fixtures have been played and that's where Everton have found some luck. Victories over Birmingham and Doncaster Rovers Belles have given them the lift they need to get three points on board. 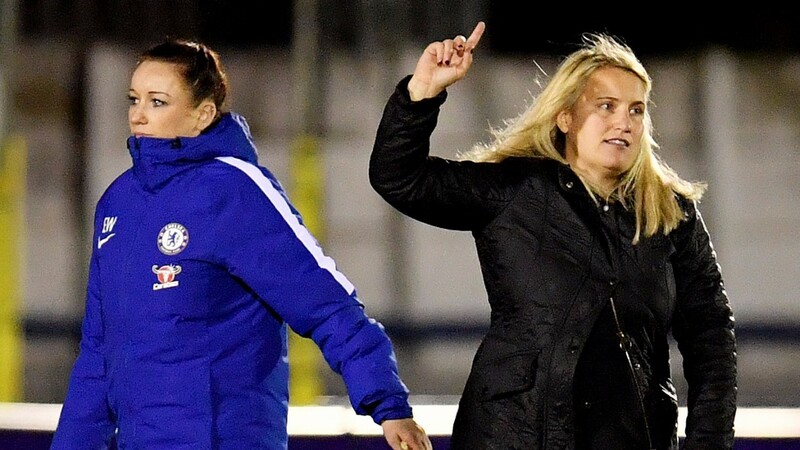 Sunday's game on the BBC website sees Chelsea face Reading as Emma Hayes's side look to continue their tremendous start to the league. The Blues have played four and won four, a record that is also held by defending champions Manchester City, and they will be looking to extend that run. However, Reading go into this fixture having secured a tremendous 2-1 win over Arsenal in the Continental Cup. Two goals from Fara Williams proved to be the difference and Kelly Chambers' side have not been afraid to cause upsets this season. With that in mind, this could be a close encounter between the two sides but Chelsea should shade it. The Blues have been playing some lovely football and have a host of dangerous players in Fran Kirby, Eni Aluko and Ramona Bachmann can cause Reading plenty of trouble.